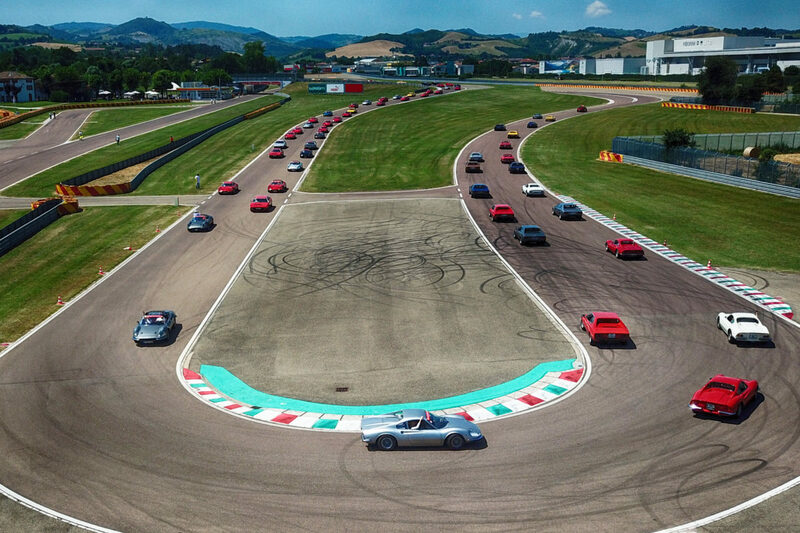 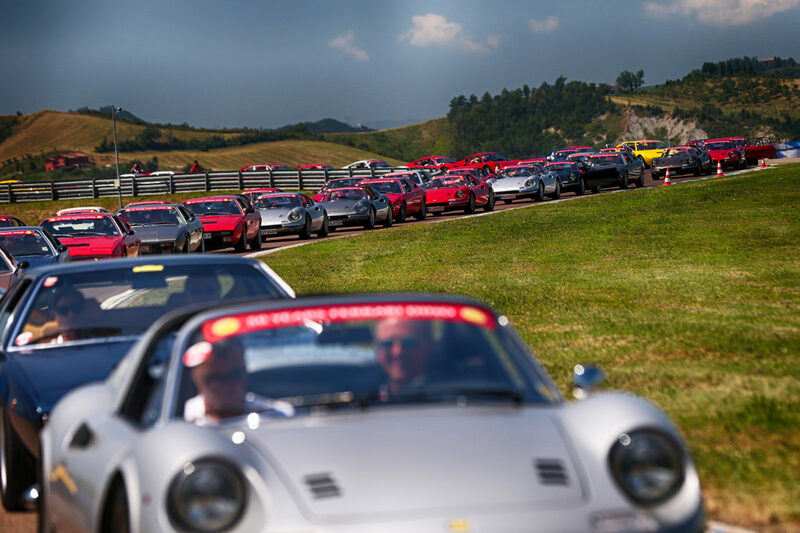 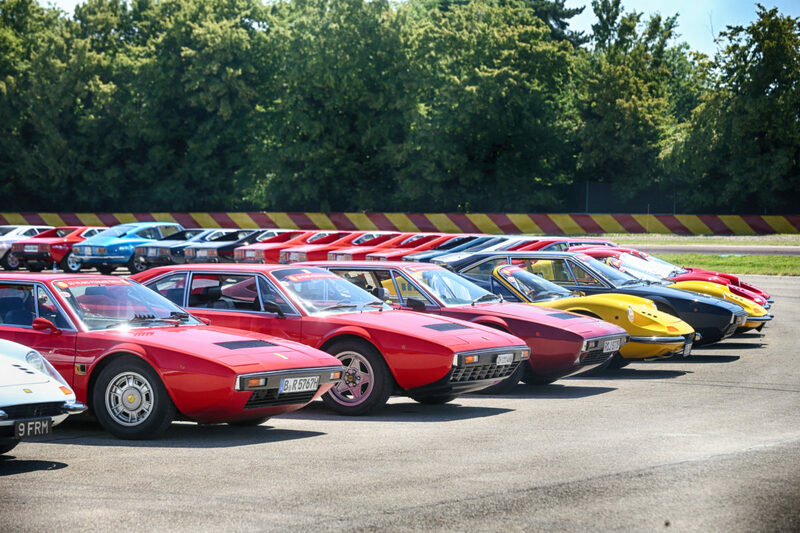 More than 150 Dinos and over 300 customers from all over the world flocked to Maranello and Ferrari on Saturday 30 June for an event celebrating the 50th anniversary of the road debut of the first production car. 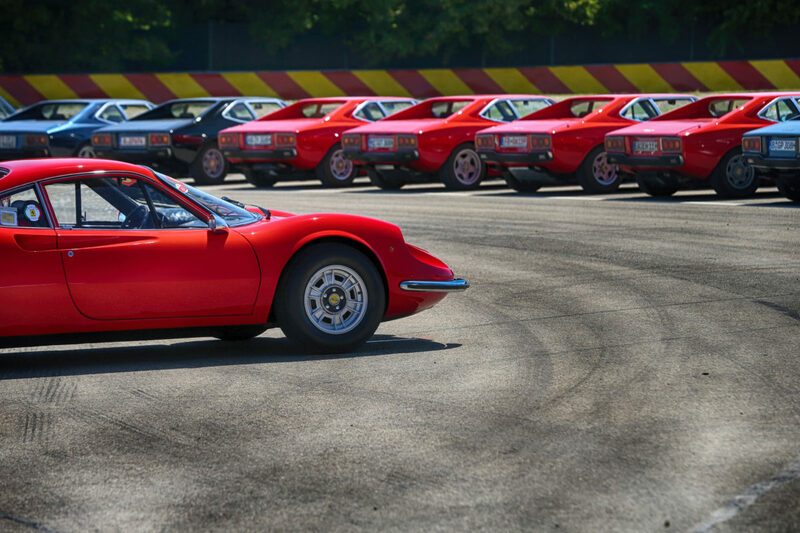 The Dino, one of the world’s best-loved and biggest selling Ferraris, had a rather long gestation. 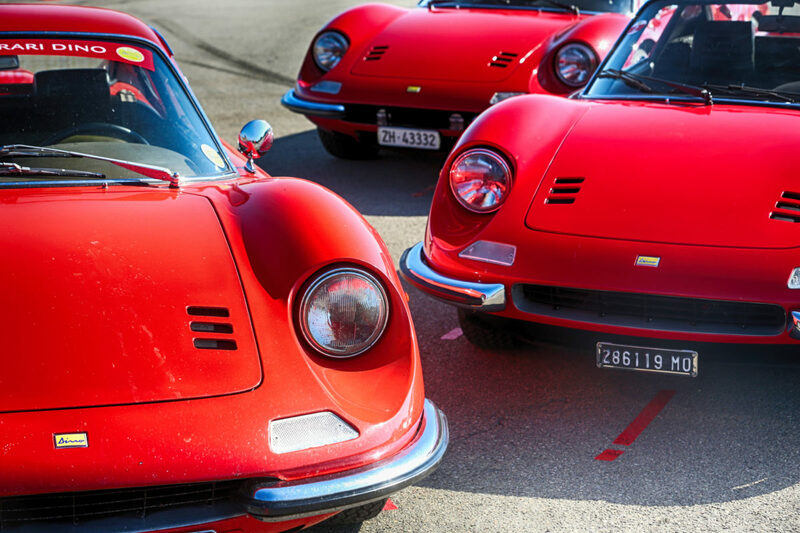 Fitted with a six-cylinder engine designed by Enzo Ferrari’s son, from whom it has taken its name, the saloon was first presented as a prototype at the Paris Motor Show in October 1965. 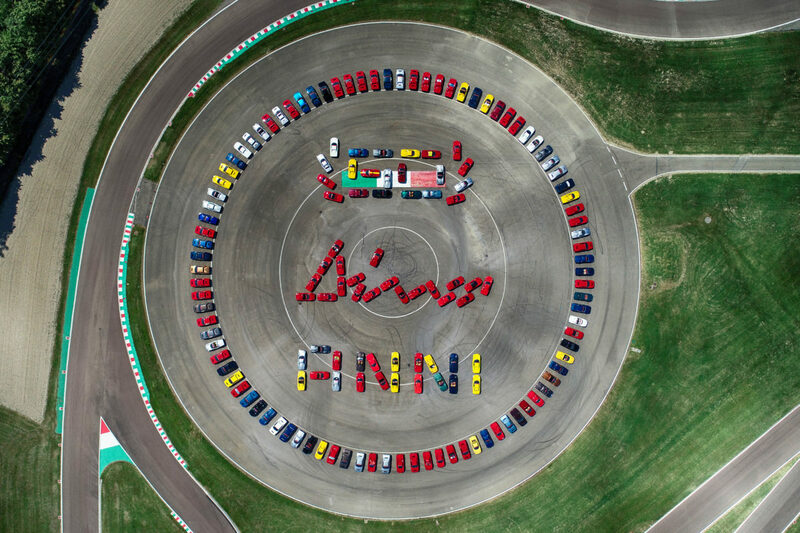  A year later it went on display at the Turin Motor Show but was only officially launched at the Frankfurt Motor Show the following November. 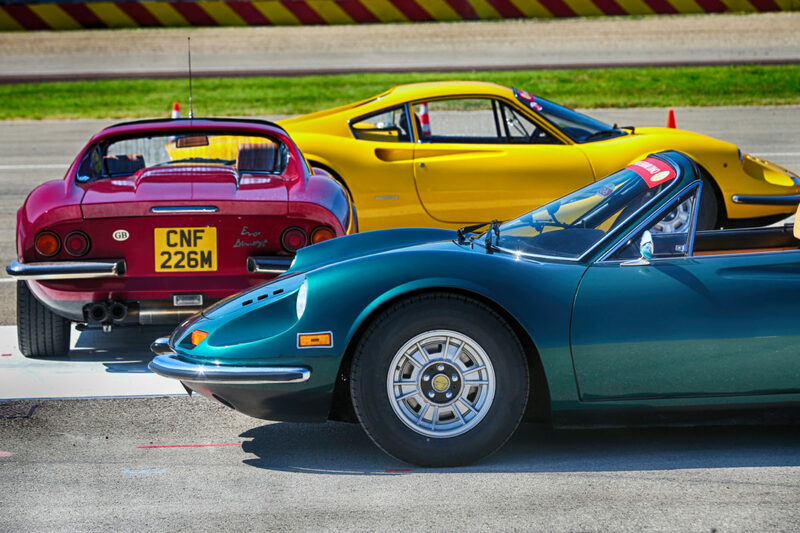 Thus, the car’s 50th anniversary should really have been marked in 2017, but any commemorative event would have been overshadowed by the Ferrari 70th anniversary celebrations. 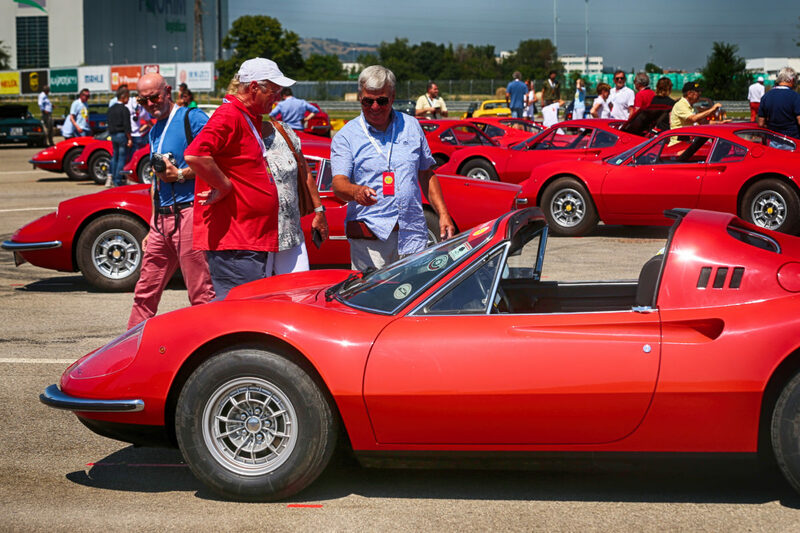 Hence the decision to celebrate the half-century of another special event, the road debut of the first model in March 1968. 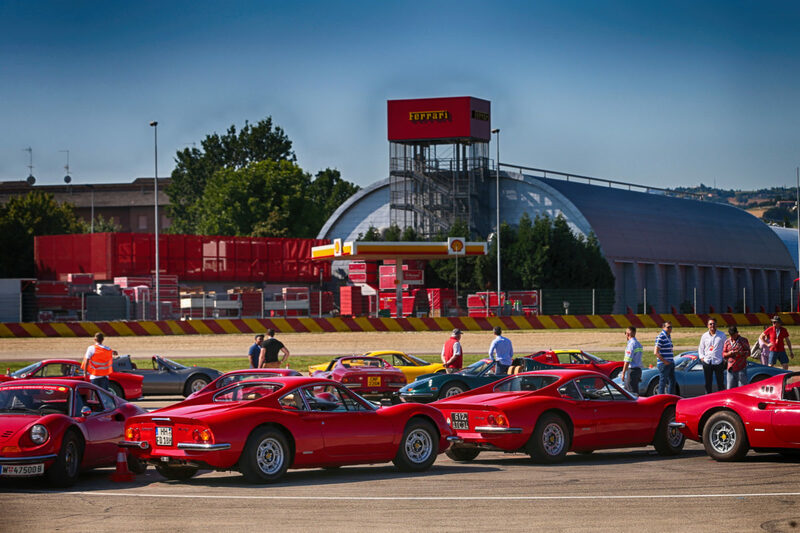 On Saturday, the cars arrived in the forecourt of the Maranello Museum and then headed to the Fiorano track, where they cars paraded all together. 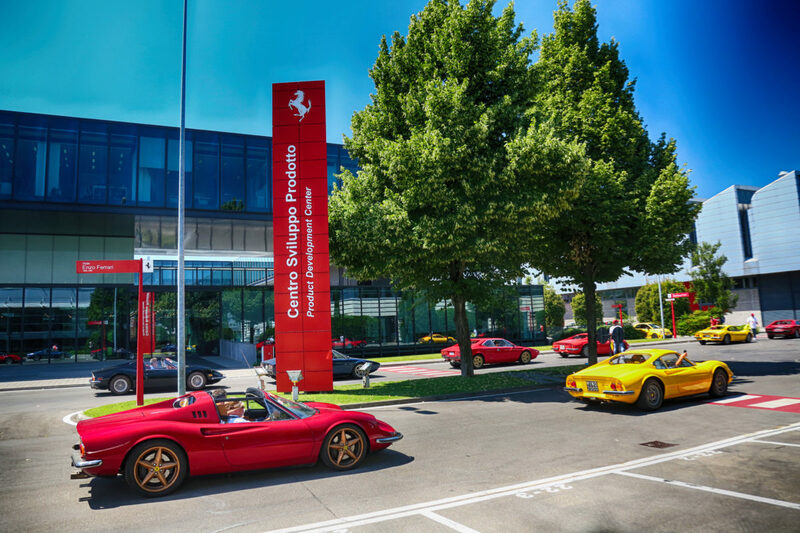 At midday, the Dinos drove into the factory where the customers were given a special tour. 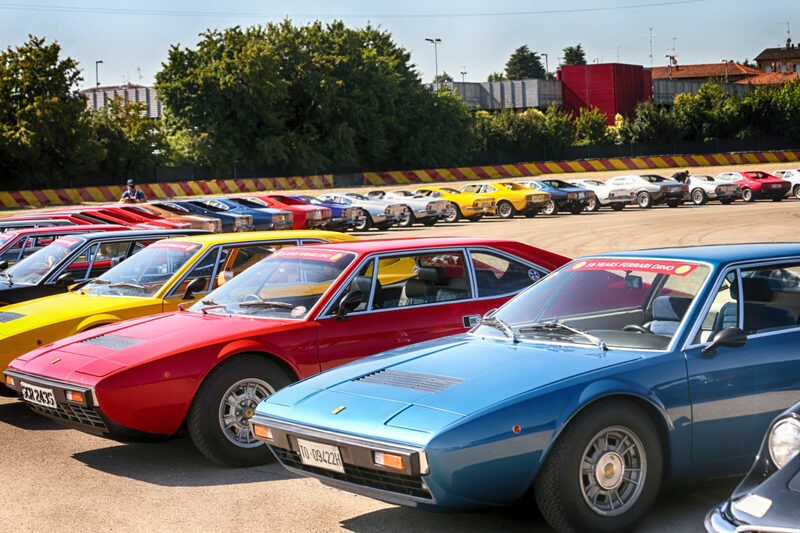 Then at the end of the afternoon a memorable day closed with the traditional drive, one car at a time, under the arch of the historical entrance on Via Abetone Inferiore. 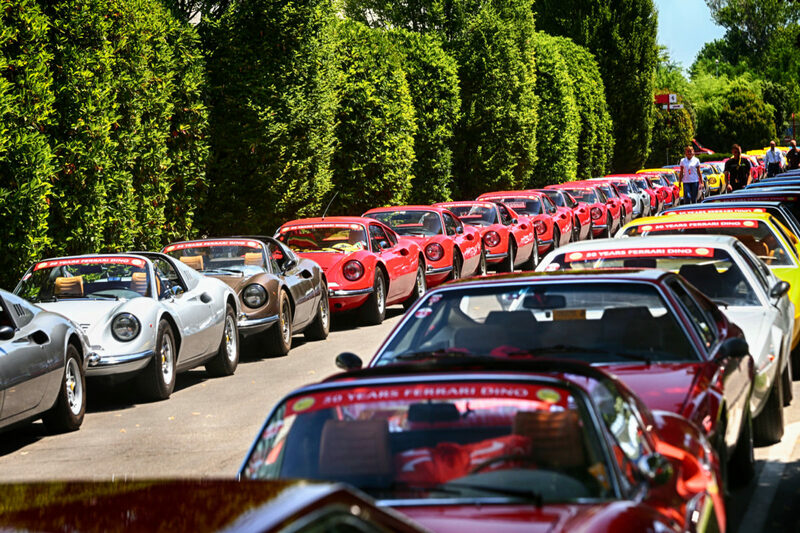 This spectacular parade attracted many fans of this much-loved Ferrari.